Dr. Nasehpour's serious mathematical studies started at the age of 15, as he was interested in generalizing mathematical formulas. For example from the Pythagorean identities 3^2+4^2=5^2 and 5^2+12^2=13^2, he got 3^2+4^2+12^2=13^2 and generalized that to get n^2+(n+1)^2+(n(n+1))^2 = (n(n+1)+1)^2, which it is true in every ring with identity! Later he collected this and some other results in a paper, which was published in a Persian mathematical journal called "Reconciliation with Mathematics", based on a suggestion made by the late Professor Parviz Shahriari. This was his first publication at the age of 19. After getting his high school diploma, in 1993, he entered Shahid Behshti University (formerly known as "National University"), Department of Mathematics, to study pure mathematics. His main studies in those years were on Mathematical Analysis. Being an active student, he had three lectures in weekly seminars of the Department of Mathematics during the B.Sc. program. In the last year of his B.Sc. 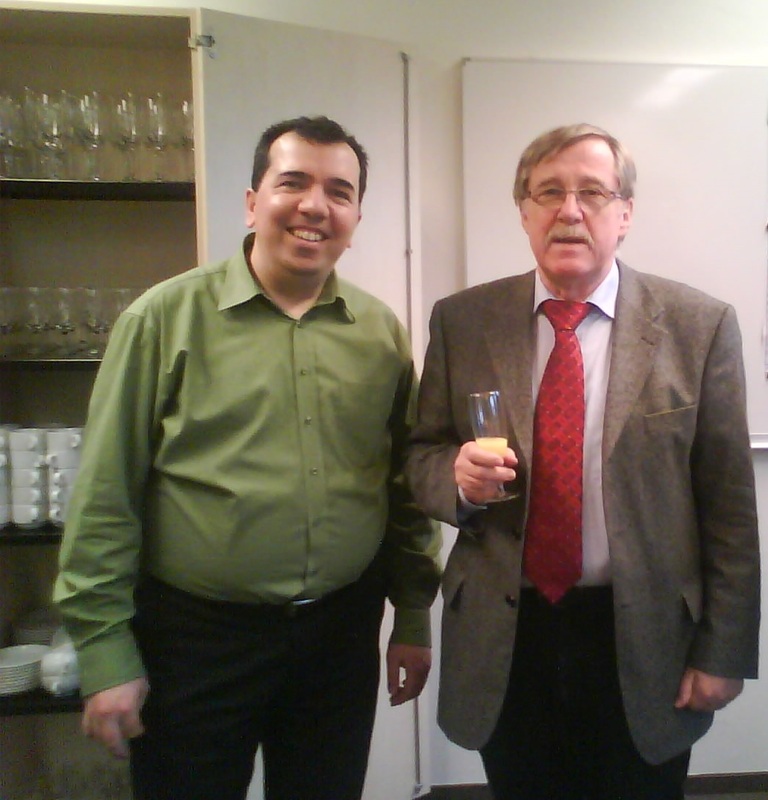 program, he enrolled a course on Module Theory given by Prof. Siamak Yassemi and he was acquainted with him. 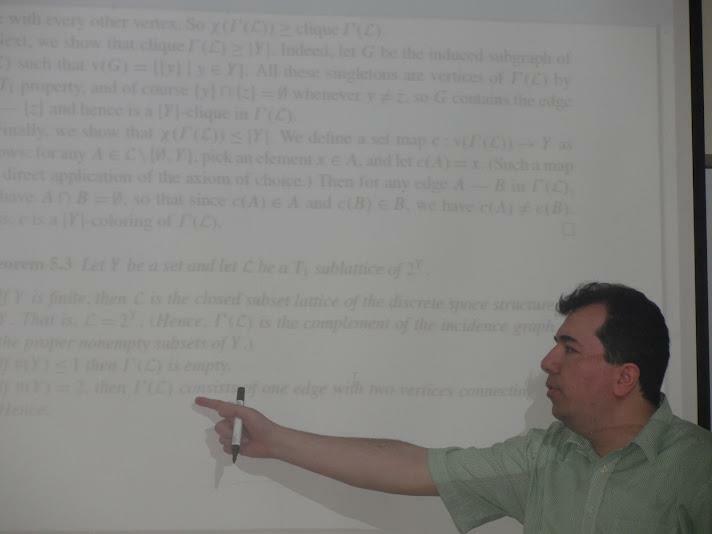 During the lectures given by Prof. Yassemi on Advanced Algebra focusing on Modules over Commutative Rings, he found a counterexample for a formula discussed by Prof. Yassemi in the class. Later this counterexample was mentioned in one of Yassemi's published papers titled "Maximal Elements of Support". After getting his Bachelor's Degree in 1997, he entered the University of Tehran, where Prof. Yassemi was one of the professors in the Department of Mathematics. It should be mentioned that he stood at the 12th place in the second State Student Scientific Olympiad 1997, among 2836 participants, in the field of mathematics. He got his Master's Degree in pure mathematics in 1999. His thesis, supervised by Prof. Siamak Yassemi, was on cancellation ideals and content modules. That was the most serious mathematical research during his academic studies. In fact, the concept of content of polynomials, invertible ideals, and Gaussian polynomials were one of the important fields of research in commutative algebra at that time. A part of his master's thesis (a generalization of the cancellation ideals and content of module polynomials) was published in Kyungpook Mathematical Journal with the title "M-cancellation Ideals". This was Peyman's first academic paper. His curiosity in knowing the fundamentals of mathematics led him to study mathematical logic. He was fortunate to find a good teacher, when he decided to understand the fundamentals of mathematics, logic, and the philosophy of ordinary languages. He studied Wittgenstein's Philosophy under the supervision of Prof. Seyyed Abdollah Anwar for eight years. This had an important effect on his thinking method and his mathematical understanding. Also Prof. Anwar taught him "Old Modal Logic" (Mantegh-e-Jahat) of the Islamic era and "Old Theoretical Persian Art Music" (Talif-e-Negham and Igha'). As you may know music used to be the forth topic of mathematics in ancient times. Peyman had been teaching mathematics since 1992 sometimes as a university lecturer and sometimes as a private tutor, but most of his mathematical activities before moving abroad, was in the field of mathematical education collaborating with Prof. Zahra Gooya in some seminars and conferences in order to popularize mathematics in the society of Iran. "He also took an elective course in "mathematics education (teaching method)" with me, in the spring semester of 1996-97. His active participation in this course and his great interest in learning, made me believe that he has a very special talent that should be discovered, and should be nurtured by a suitable learning environment. ", Prof. Gooya wrote in one of his recommendation letters for Peyman. 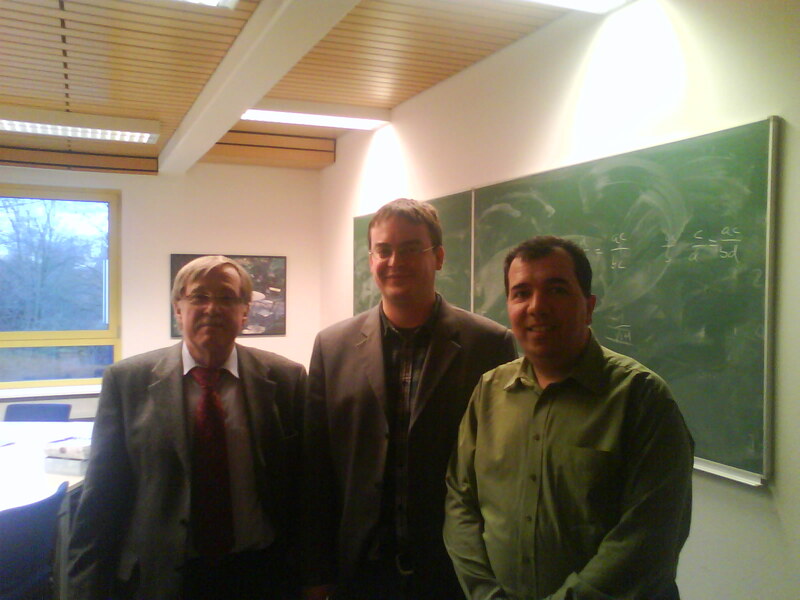 In Sep. 2006, Peyman moved to Osnabrück in Germany to do his PhD in mathematics under the supervision of Prof. Dr. Winfried Bruns in Osnabrück University and finally on Jan. 27th, 2011, he defended his thesis. Currently he teaches mathematics in Iranian universities, particularly in the Department of Engineering Science at University of Tehran.